We have two folding chairs that sit in our (my husband’s and mine, that is) office. 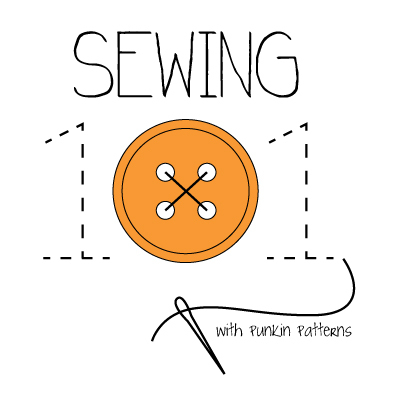 He sits at his computer with one – me at my sewing machine or serger with the other. 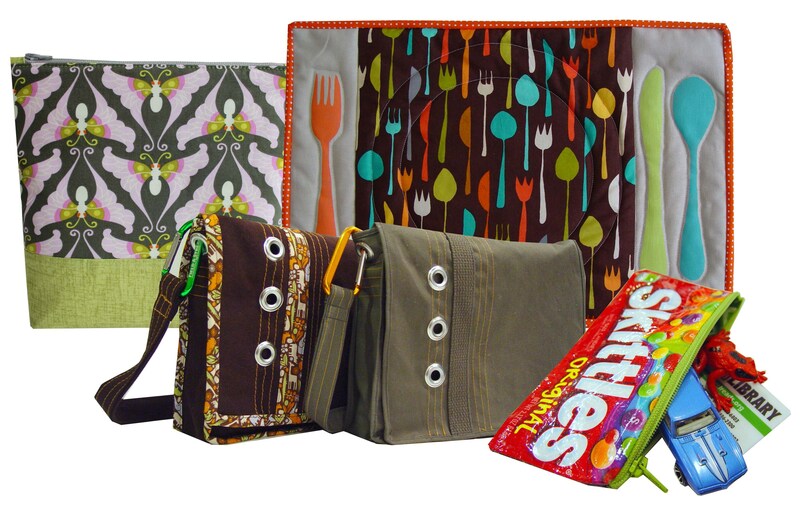 They’re functional, but they were in need of new padding and covers. 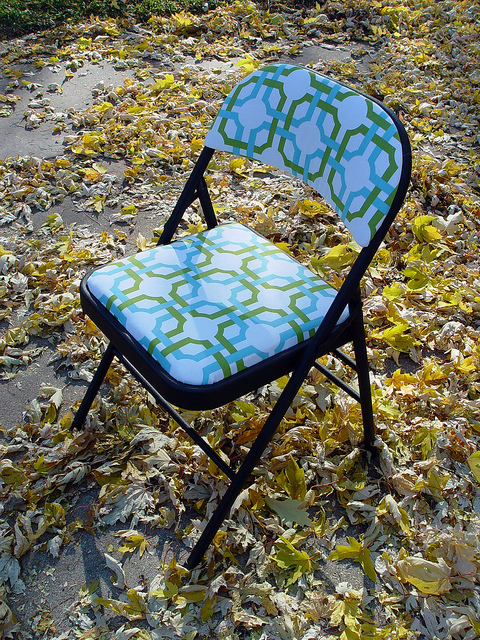 Recovering a chair is very simple and I thought I’d share with you how you do it! 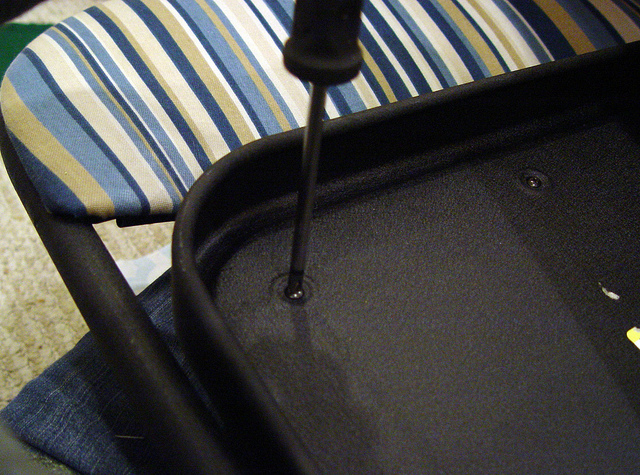 First unscrew the cushions from the chair frame. 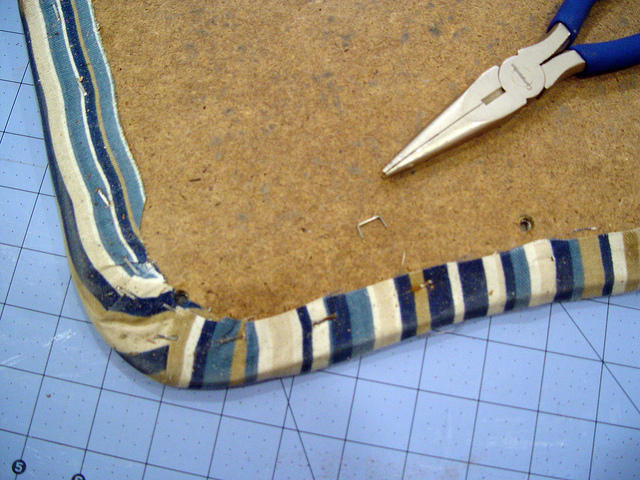 With a pair of pliers, remove all of the old staples holding in the old fabric cover and throw it away with the old foam that was used. 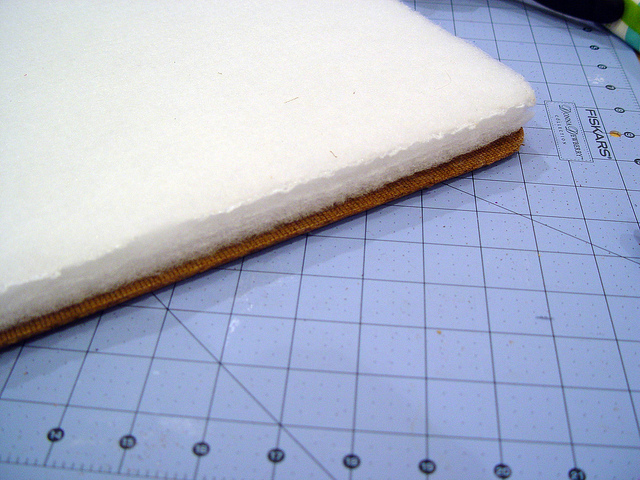 Cut a new piece of high density foam or similar to the size of your seat. 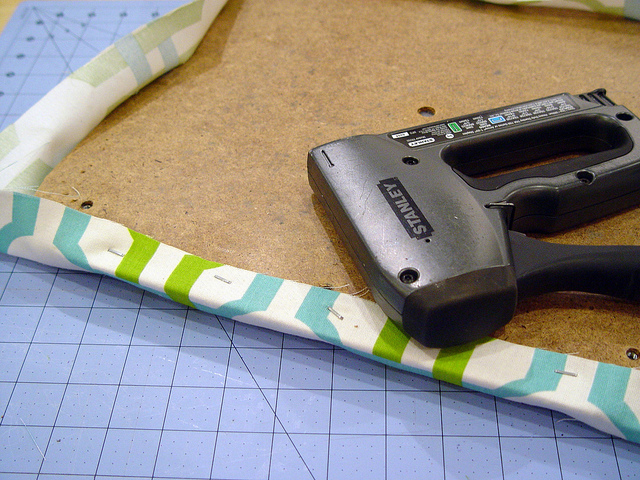 Wrap the chair bottom (with cushion) in the new fabric and secure in place using a staple gun. 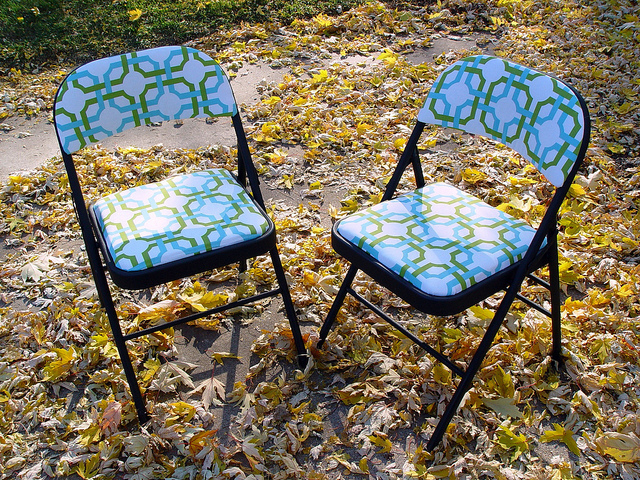 Make sure your staples aren’t long enough to go through the seat bottom (usually 1/4″ works well for most chairs). 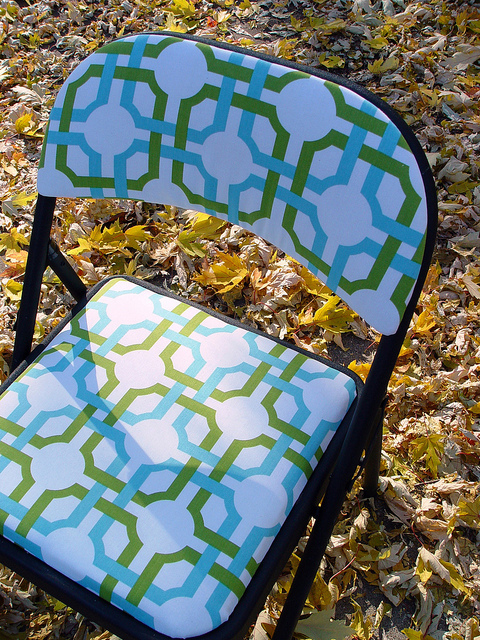 For a chair that will be used a lot, a home-decor weight fabric is best. Secure the corners well, making them smooth on the finished side. 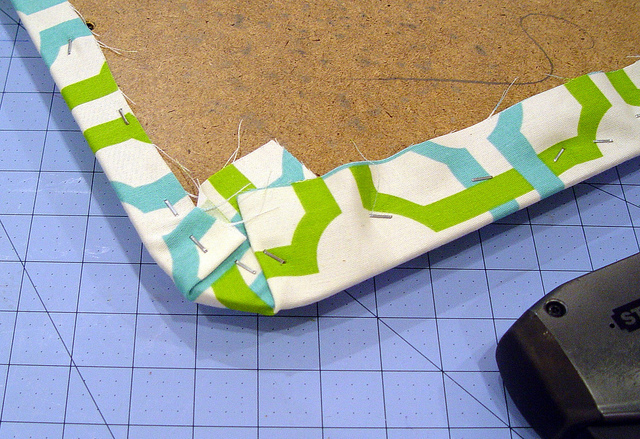 Trim any excess fabric and re-attach with your screws to the chair base. And your done! Repeat on the other chairs too! 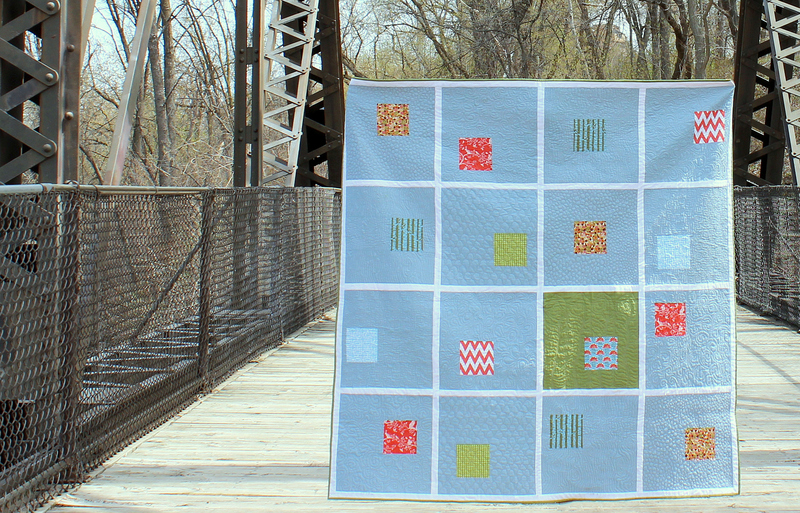 Great fabric, and this is a timely post. I just finished painting our dining room table (it’s been sitting in the garage for 6 YEARS waiting for the hubs to do it), and now I need to refinish all the chairs that came with it. Do you know of a good way to clean wooden chairs? I think they are going to need a good scrubbing, but I would rather not have to reseal them when I’m done.